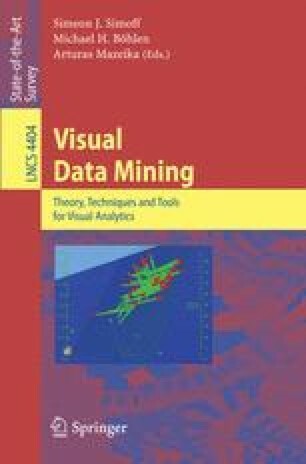 Visual data-mining strategy lies in tightly coupling the visualizations and analytical processes into one data-mining tool that takes advantage of the strengths from multiple sources. We present concrete cooperation between automatic algorithms, interactive algorithms and visualization methods. The first kind of cooperation is an interactive decision tree algorithm CIAD. It allows the user to be helped by an automatic algorithm based on a support vector machine (SVM) to optimize the interactive split performed in the current tree node or to compute the best split in an automatic mode. Another effective cooperation is a visualization algorithm used to explain the results of SVM algorithm. The same visualization method can also be used to help the user in the parameters tuning step in input of automatic SVM algorithms. Then we present methods using both automatic and interactive methods to deal with very large datasets. The obtained results let us think it is a promising way to deal with very large datasets.